It’s a debate that will likely last until the end of time. What is the best way to make a paper airplane? Your dad taught you one way, and then your best friend taught you a different way when she was in that phase where she was constantly throwing paper airplanes at the teacher’s head to distract said teacher from assigning homework. It may have been an annoying phase, but you do have to thank her for the fact that you never had to do homework in the third grade. Once you have all of these things together, let the (air)show begin! How to Make Paper Airplanes – Get to Know Your Prototype! You have probably noticed that model airplanes made by companies look a lot more like actual airplanes than the paper airplanes that took nosedives into your PBJ sandwiches when you were in elementary school. Since you have learned to live in reality as an adult, shouldn’t the paper airplanes that you make as an adult reflect that reality? What you want to do is study and examine your model airplane as closely as you can, taking in every little detail. This isn’t just a folded up piece of paper, this is an actual airplane with wings and windows and probably some sort of logo. You want your paper airplane to look exactly like this model airplane if you can. After you have figured out and envisioned exactly how your paper airplane is going to look at the end, it’s time to cut out the pieces of paper that you will need in order to make this creation a reality. You should cut out a big enough piece of paper for the body of the plane, as well as additional pieces for the wings, wheels, and everything else that is on the exterior of the plane. If you think it will be difficult to cut up the paper in all the correct ways, you can bring in other things too! Feel free to use aluminum foil, pieces of plastic, moldy banana peels from the garbage, whatever it is that you can get your hands on that can help you make this paper airplane amazing! Just cut whatever it is up into the correct shapes to prepare for the next step. With all of your cutouts, you have all of the pieces of the puzzle. Now, it’s time to put them all together! Fold up all of your paper shapes in whatever ways you think they need to be folded up, glue them at the ends, and then glue all the pieces together! It might be hard to for some of the pieces to stay on, but that just means you have to use more glue. Dump glue all over the body of the airplane if that’s what it takes. If it takes a really long time to dry, well, that’s just the price that you have to pay for a really wonderful paper airplane! Now that everything is glued on, you want to make sure that your paper airplane looks as much like the model airplane as possible. That was the whole point of this entire project, right? You wanted to make a paper airplane that was more impressive than any of the pieces of paper you folded up as a child when your mother wouldn’t let you watch those cartoons about the talking teddy bear who was constantly on acid trips. It is very possible though that at this point, your paper airplane looks like a mess, with a huge mass of dried glue on top and everything from paper to aluminum foil to old banana peels composing its body. If this is the case, what you will need to do is alter it as much as you need to create a desirable final product. Chisel away at that dried glue, and dump some white paint on top of the moldy banana peels. When you’re all done with that, get those markers and draw on the window, logos, and everything else that is actually going to make it look like a real miniature airplane. How to Make Paper Airplanes – Fly, Fly, Fly! This part was the magic of paper airplanes when you were a kid. You wouldn’t have folded up those pieces of paper if you weren’t looking forward to seeing them fly. So now you get to see if your most recent creation can become airborne! It can go one of three ways. 1. You made your paper airplane so realistic that when you throw it, it just continues to fly, and it flies away from you so you never get it back. You’ll miss it, but at least you get to be proud that you did your job so well that you created not only a paper airplane but a true airplane. 2. Just like the paper airplanes you made as a kid, it goes for a short distance and then takes a nosedive into the ground. Maybe not the ideal result, but you really couldn’t have expected much better. At least it looks more complicated than the paper airplanes you made as a kid. 3. That pile of crap falls right to the ground when you try to make it fly. And why wouldn’t it? Because of all of the things you put on it, it is so heavy that it is completely incapable of flight. But take heart! 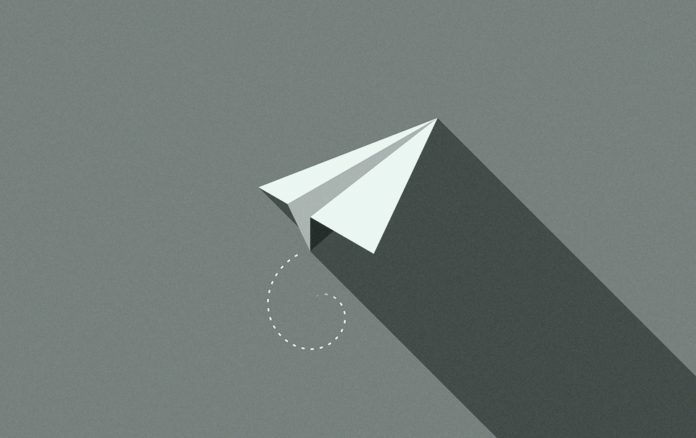 Even though making it fly may seem like the entire point of making a paper airplane, it isn’t. You got to have fun and learn, and that’s really all that counts. Whatever result you get, you will value and treasure the memories of making this astounding paper airplane for the rest of your life. And that will be its own reward.